Mike Lyons received a $51,000 hospital bill after he was treated at an out-of-network emergency room after a rock climbing accident in 2018. For climbers like Salt Lake resident Mike Lyons, the act of tying a safety knot in a climbing rope is a ritual. Ensuring a correctly tied knot is a connection between climbing partners, a way to focus and, most importantly, to avoid injury in case of a fall. It comes down to routine. “Maybe it’s a game of numbers at a certain point. I mean, I probably tied the knot 30,000 times. Always done it correct,” Lyons said of his 30 years climbing the granite walls of Little Cottonwood Canyon and the desert buttresses of Southern Utah. So, Lyons, who works for a Utah-based medical device company, was surprised when climbing at an indoor gym in Sandy called Momentum last March. He was about 30 feet up on an artificial climbing wall when he fell to the mat below. Lyons landed on onto about a 1.5 feet of foam, and was knocked out for at least 30 seconds. It was clear that something was wrong when he woke up. Lyons was rushed to Intermountain Medical Center in Murray where he spent about a week in the ICU, which he says he mostly can’t remember. In the fall he’d broken the L1 vertebra in his lower back. It was a compression fracture and bone fragments had entered his spinal column putting him at risk of being paralyzed. Mike Lyons showed off a collection of climbing equipment at his house in Millcreek. After recovering he went to rehab for several days and spent about a month in bed. In time he started climbing again. But then, the next surprise came in June when Lyons got the hospital bill: $51,000. The medical bills sent to him from Intermountain Healthcare and his insurance company, Regence Blue Cross Blue Shield, said his ER visit was out-of-network. In other words, Regence didn’t have a contract to work with Intermountain Healthcare, so they don’t have an agreement on costs. Regence paid about $9,000 of the bill but Intermountain argued that their care to treat Lyons cost more. Despite his visit being an emergency, Lyons was being billed for the remaining $42,000. Known as “balance billing” or “surprise billing,” it’s drawing more and more outcry from patients who are treated at emergency rooms and end up with surprisingly large medical bills. And, patients being left to fight for themselves is becoming more and more common. Utah is one of over two dozen states without patient protections in place. According to one estimate, as much as 20 percent of hospital ER visits can lead to surprise bills. At the Utah Insurance Department, where patients often try to go for help, complaints about balance billing climbed 400 percent in the last four years. Department officials noted, however, that rise could be because of increased awareness about balance billing. “This is about payment, and a conflict between insurance companies and providers about what is a fair reimbursement rate,” said Kevin Lucia, who studies balance billing and health insurance at Georgetown University. “They’re in a situation where they have no control, right? You’re having a heart attack. It’s not like you’re going to be able to stop and say [to the provider] ‘Hey, are you in-network or out-of-network?’”. Lucia describes balance billing as a situation where an insurance company and a hospital disagree on the price of medical care, and often the patient gets stuck in the middle. Lyons, who said he remembers little of his stay at the hospital, contends that no one ever told him he was at an out-of-network facility. “My assumption was that it’s an emergency. My understanding of the health care system was emergencies are always within network,” Lyons said. The practice of hospitals balance billing their patients is legal. However, as of 2017, 21 states had some kind of patient protection laws in place. Utah doesn’t, but it might soon. 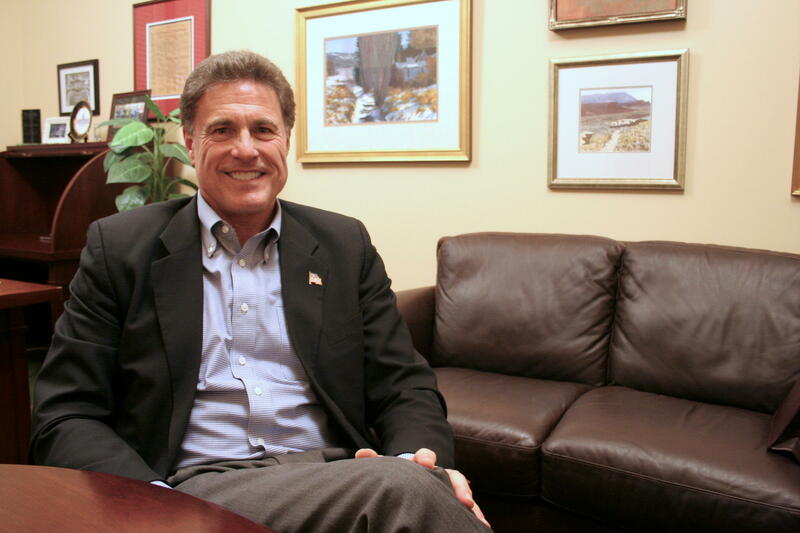 This legislative session Utah state Rep. Jim Dunnigan (R-Taylorsville) is running legislation for the second time to try to add protections for consumers from balance billing. Rep. Jim Dunnigan (R-Taylorsville) will run legislation during the 2019 legislative session to create patient protections to prohibit balance billing in Utah. Dunnigan describes his bill as a compromise in which insurance companies will have to pay slightly more to hospitals than they do now and hospitals will be prohibited from billing patients for any additional money. Only about six out of the current 21 state laws have strong patient protections, according to Kevin Lucia at Georgetown. Those include measures like requiring insurance companies to hold consumers harmless, using mediators to help insurance companies and hospitals agree on prices, or restricting hospitals from balance billing in the first place. Legislation is also being proposed at the federal level that could protect consumers. Without legislation in Utah, Dunnigan left the dispute between Intermountain and Regence up to them to solve. Negotiations dragged on for several years. “We know that this is a very challenging and emotional issue. And it is really our responsibility to come to an agreement and solve it for them, and we’re working really hard to do so,” said Eric Hales, Vice President of Regence in Utah. 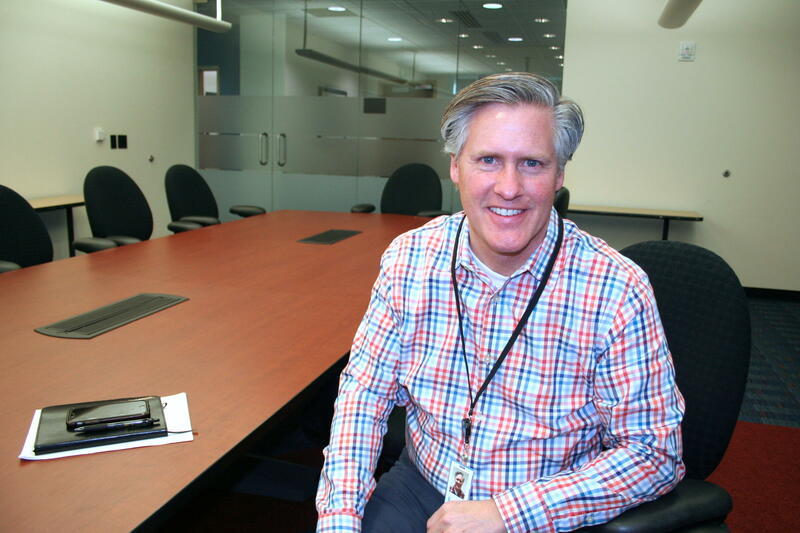 Eric Hales is the vice president of Regence Blue Cross Blue Shield of Utah. There was good news this week for patients looking to Dunnigan for help. “Now I can tell them the contract has been signed. And it’s not just very close anymore it’s done,” Dunnigan said. Intermountain and Regence came to an agreement. That means many Utahns won’t be stuck in the middle anymore. Dunnigan says the money patients like Mike Lyons owe will largely be erased. “I’m greatly relieved and look forward to getting that letter from IHC or my insurance company or both,” Lyons said when told the news. Still a settlement between Regence and Intermountain is only a partial fix. There are still other Utahns experiencing balance billing between other hospitals and insurance companies. Dunnigan’s legislation to end balance billing will be discussed during the 2019 legislative session, which starts at the end of January.